Their sign outside read, “Come on in and say hi!” How can I not pay a visit after seeing such a friendly sign? Plus, how cute is that tank top? The Runaway designed their “The World is Your Oyster” tank specifically for this event. Very clever! That day, I had the pleasure of meeting Emily Dell, CEO and President of the Runaway. She and her sister, Hillary, are the team behind this venture. When you enter their boutique truck, you will see several racks of merchandise (all new) sourced from New York City showrooms as well as independent designers. The cost of their apparel ranges from $20 to $60. How reasonable! 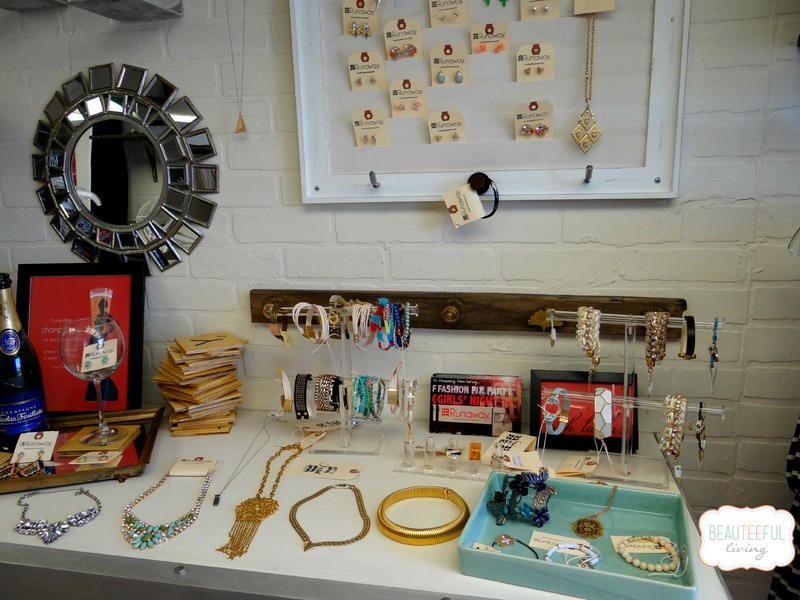 Runaway also has their own curated line, Heist, which features vintage costume jewelry. Their accessories (bracelets, earrings, and necklaces) cost between $8 and $30. Again, very reasonable prices. 1) Catch them on the run (festivals, salons, or street fairs). Click here for schedule. 3) Throw an At-home fashion party! The Runaway will travel within the Tri-State (NY, NJ, CT) area. So, take a break from the Pampered Chef parties and round up your friends (10 – 15 minimum) for an at-home fashion party. Runaway will provide a style sheet for hosts to specify clothing size and style preferences. A one-week minimum notice is recommended. A stylist will also be on board to offer free consultations. The hostess receives a 20% discount throughout the evening and earns $10 toward merchandise for every $100 in sales. P.S. The Runaway has done bachelorette parties. How fun! Beauteeful Living subscribers who host a Runaway party will receive a free pair of earrings at time of event. Mention “Beauteeful Living” for online orders and you will receive 10% discount off your purchase. Definitely check out their accessories link here. 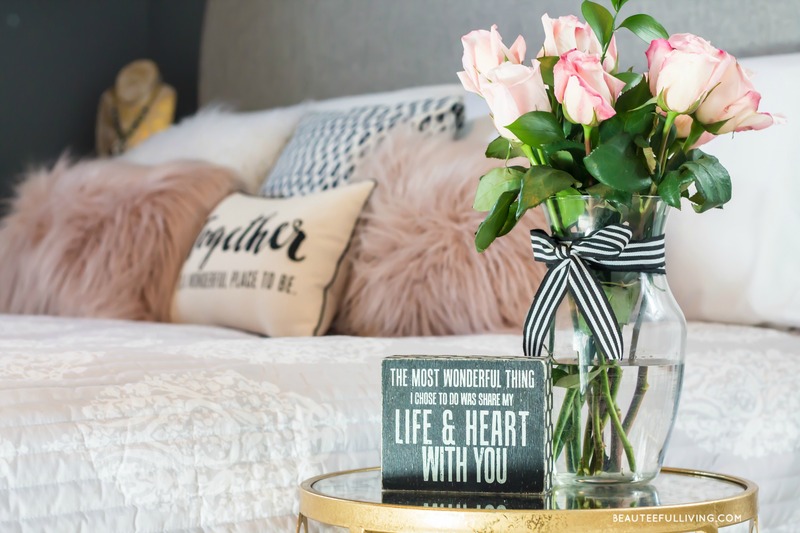 So many cute and affordable finds! To apply your Beauteeful Living discount, please contact the Runaway at 732-589-0757 or email them at info@shoptherunaway.com. 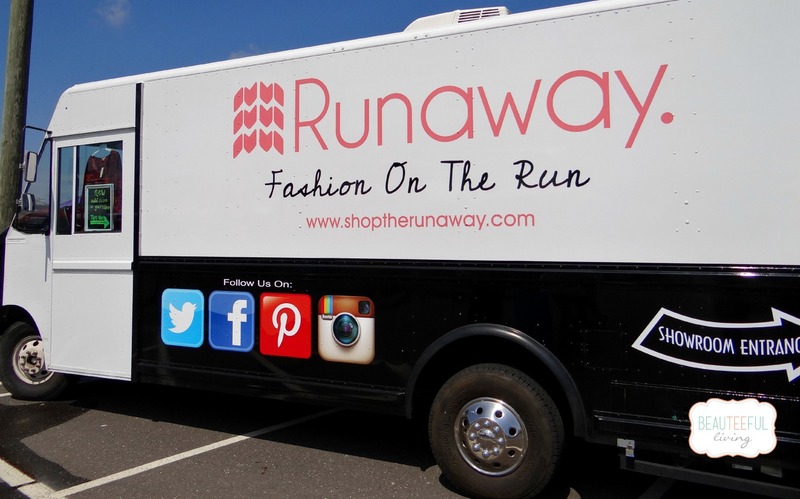 I love the Runaway’s boutique on wheels shopping concept. It was definitely a fun experience to “shop” for the first time in a truck — a stylish one, I must note. 🙂 I will definitely be tracking this business. Something tells me beauteeful opportunities are ahead for the Runaway! For more information, please visit their website here. I’d love to hear your thoughts on shopping in a mobile boutique. Don’t forget to share this post with your fellow fashionistas. 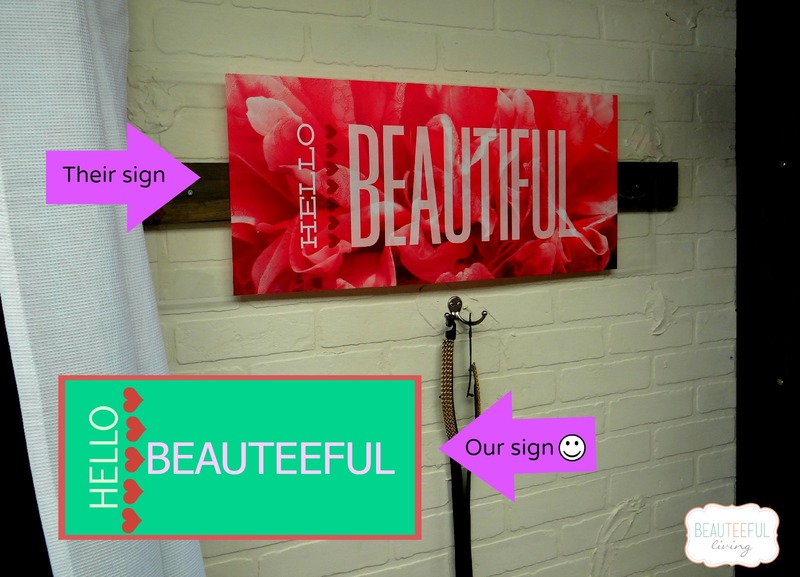 🙂 To never miss a post, please scroll down and subscribe to Beauteeful Living’s blog. Enjoy your weekend! Great idea especially going with friends on weekends. This is such a neat idea! What a fun girls night out this would be!! That really is a unique concept. It reminds me of my childhood and sometimes on school days we’d get a visit with a red train caboose that was filled with books you could buy from. How cool! I would love to visit them! This is unexpected and such a cool idea! How cool! I’ve never seen a clothing truck before, ha ha ha, always food! Oh wow! This is so cute! I especially like the jewelry area…I love finds like this. I’d stop and probably shop there! This would be so fun to go to indeed. The prices are amazing and the styles as well. I wish they would come to the Upper Peninsula of Michigan. Thanks for sharing. This is a great idea. I have not heard of a shop on a bus before. I would love to find one and explore the great pieces. Ohh an at home fashion party would be fun. It would be fun to do for my teen and her friends too! That sounds so much fun! Shopping is more fun like that! Have a happy weekend! Now that would be a fun way to shop with a bunch of friends. I love this! I probably would’ve had to buy all the bracelets. My granddaughter can’t get enough of them. Wow, this is really cool! I definitely would love to see a fashion truck come near me, just for the experience! I became aware of fashion trucks earlier this year and I love them. I think it’s such a cool shopping experience. Runway looks fantastic. I love the accessories. What a cool concept. It is like food truck filled with fashion finds. I love it. That is a really great concept! I hope to see more of these popping up soon. This looks like such a fun store! What an adorable shop! Love it! This is awesome! I would love to check this out. I really like the jewelry. Fun stuff at great prices! I LOVE that T Shirt….Can’t wait to have a PARTY!!!! You’re going to have so much fun! I love that tee too! I love this! We’re addicted to food trucks and I can see myself being very happy here!! I think this is an ingenious idea.. never have to stay in 1 place and you go to the people! I love their philosophy…and festivals and fairs? Yes, please. I will check out the schedule to see if they come to my southern neck of the woods. What a fun concept! I have never heard of any clothing store doing anything like this- I wish them success! I like the fashion on a run concept. It would also allow them to cover more markets. Do they have anything for hunks? I want them to come to Long Island! They probably will plus there’s always festivals and fairs in Long Island. Hi Giselle. 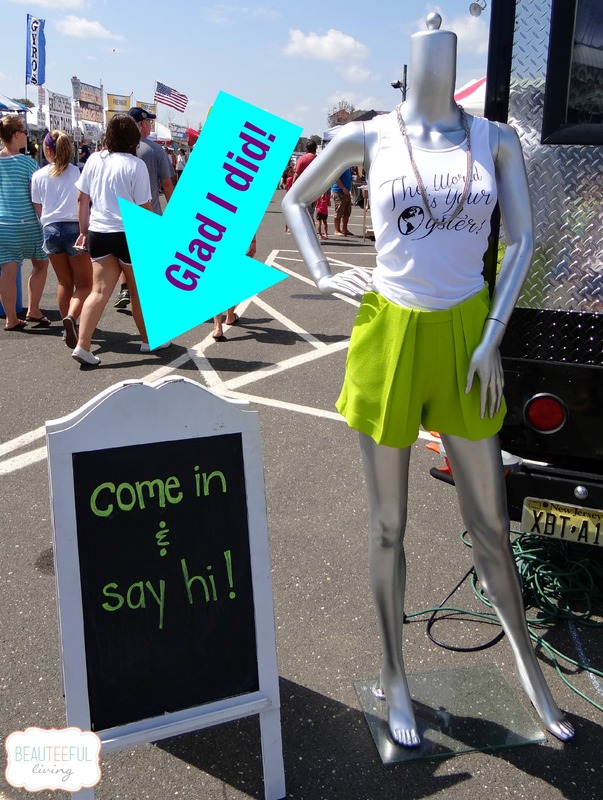 If interested in having a Runaway fashion party contact us at info@shoptherunaway.com or at 732.589.0757 and we would be more than happy to come out to Long Island. I would have a field day shopping there. Look at all that cute stuff. I agree, for sure :).